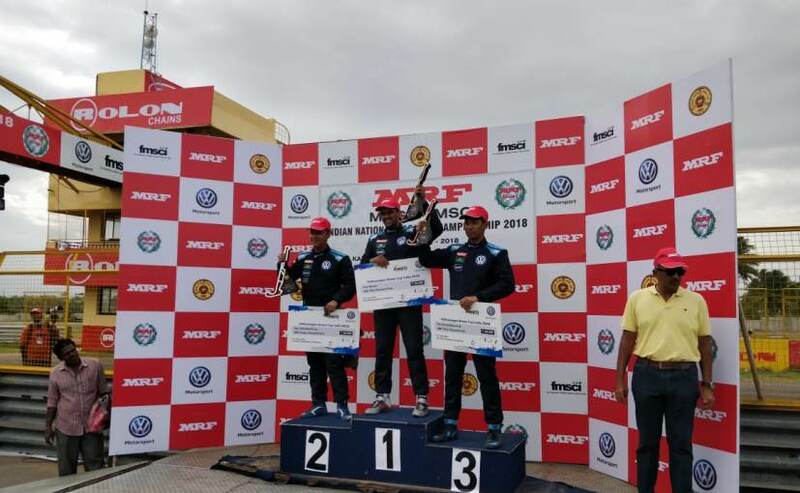 Dhruv Mohite took his second win of the weekend in Round 1 of the Volkswagen Ameo Cup 2018, establishing his lead in one-make series this season. 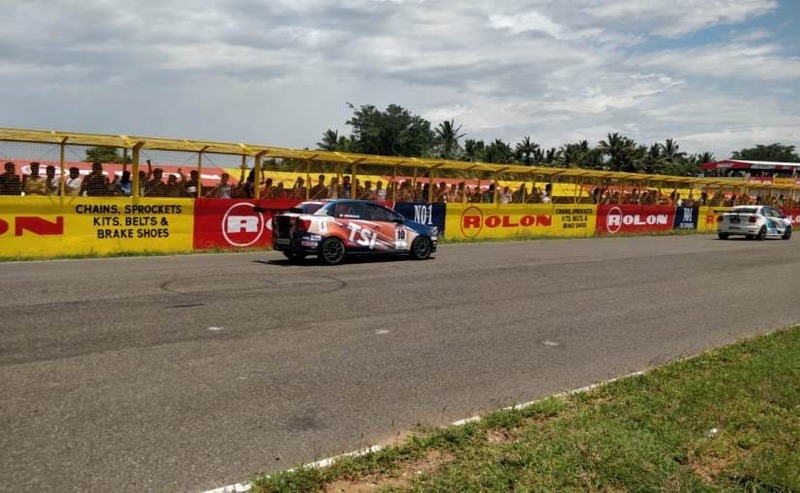 The opening round of the 2018 Volkswagen Ameo Cup concluded today with the second race of the weekend at the Kari Motor Speedway, Coimbatore. Dhruv Mohite secured his second win of the weekend bringing his No. 19 Ameo in Race 2 on Sunday. The Kolhapur-based driver started at the back of the grid with the top-eight order from Race 1 reversed, and managed to pass his rivals to take the lead quite early in the race. Race 2 of the weekend also turned out to be the most dramatic for the Ameo Cup championship with the series witnessing its first crash of the season. Race 2 started with Shivani Pruthvi in car no. 10, one of the two female drivers on the grid, starting on pole followed by Akshay Bhivshet, Shubhomoy Ball and Affan Sadat Safwan Islam in the top four. Mohite, who started the race in eighth place worked his way up the grid, retaining his impressive pace from the practice sessions. The driver passed Shivani to take the lead on Lap 4 and there was no looking back for the former go-kart racer as he started extending his lead over the rest of the grid. However, the lead worked up fell through after a red flag was brought out after Manoj Yanamadala in Ameo no. 4 toppled before the final turn on Lap 6, in this weekend's first crash. While the driver escaped unhurt, he was taken to the hospital for a medical check, and was later cleared as fit, in this season's first crash. With the incident behind, the race was restarted with just 7 laps while Dhruv still in the lead, going on to take his second win. The bigger for second though was far more exciting with Saurav Bandyopadhyay (14) and Affan Islam (3) swapping positions. Affan dropped to fifth having started third, while Saurav started in sixth place. Both drivers worked their way up the grid in the following laps to finish second and third place respectively. While the race was completed without any major incident, Ayush Tainwala went into the gravel halfway into Turn 1, causing the safety car to come out. 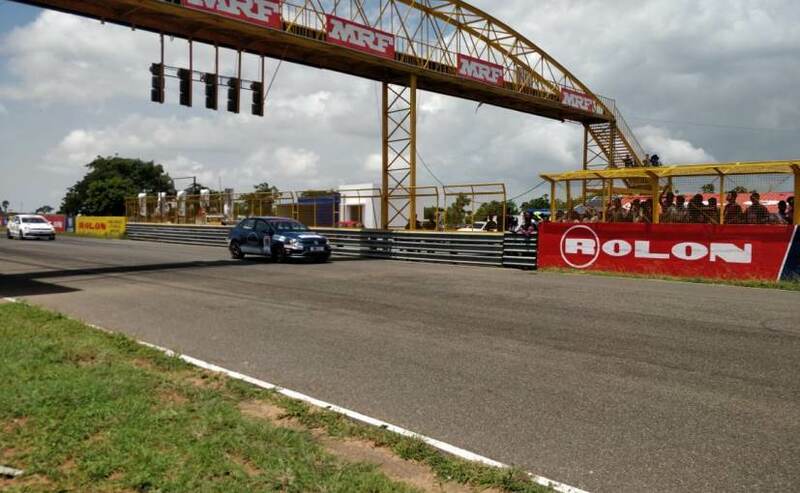 The next two rounds of the 2018 Volkswagen Ameo Cup will be held at the Madras Motor Race Track (MMRT) in July and August respectively, which will pose new challenges for the 12 new drivers on the grid. The final round of the Volkswagen Ameo Cup 2018 will take place at the Buddh International Circuit (BIC) later this year in October.